A/C Not Working…Call Craig Now! Eco Green Home Co is in full swing for Spring. We are a totally ECO Friendly driven Company Recycling is so important and not enough companies include it in their “Mission Statement”. We are offering UP TO $600 for your old Air Conditioning system when you buy a new AC system from us. Call, Text or E-mail me today for a quick quote! We are the Geothermal experts of PA and certified to Install Climate Master and Water Furnace Product lines. We are authorized for regular and warranty repairs on most Geothermal and standard heating air conditioning and heat pump brands. 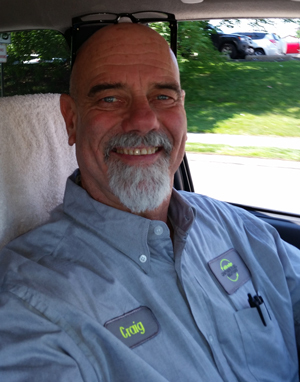 Contact Craig today for an appointment or a free estimate. I will get back to you in 15 minutes! I will get back to you in 15 minutes! Check out our new Blog Page for up to date tips for saving money and getting your AC ready for summer! Up to $600 for your old air conditioner when you buy a new AC from us! Ask about our Maintenance Agreements starting at only $14.99 per month. Save 15% off all repair service, new equipment and accessories. Call now!